Live a fairytale: stay in storybook villages along the Rhine River, then live in a 14th century Bavarian Castle! 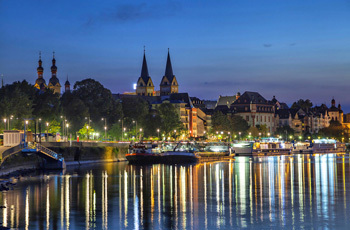 One week each in personally selected apartments in the Middle Rhine area and in a medieval castle in Bavaria. Transfer between destinations: Train to Würzburg, pick up your rental car, and drive to the Bavarian Castle following our detailed directions.